Dr. Sheila Banuelos is an Adjunct Assistant Professor at the USC Rossier School of Education. Dr. Banuelos’ expertise and interests are in program evaluation, pre-college preparation, college student advising and services. Dr. Banuelos’ prior research experience includes serving as a Research Assistant with Dr. Kristan Venegas on a research project studying Black and Latino males in the postsecondary pipeline. 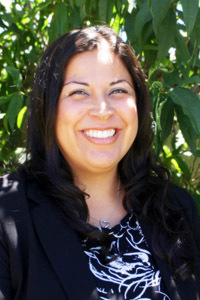 Banuelos has presented at several research and professional conferences, including Association for the Study of Higher Education (ASHE), American Educational Research Association (AERA), American Association of Hispanics in Higher Education (AAHHE), the National Association of Student Affairs Professionals and Administrators (NASPA) and the California College Personnel Association (CCPA). She has also published her work on Latino males in both the Journal of Latino-Latin American Studies (JOLLAS) and Metropolitan Universities Journal. Her dissertation focused on Latino males in Latino fraternities and the psychological, social and cultural contributing factors leading to their college student success. Banuelos is the former Assistant Director of the USC Rossier Master’s Programs Office. For five years, she assisted in providing student and faculty services to all non-teaching on-campus master’s programs. She has experience with assessment and evaluation of student services, creating online student services, coordinating student orientation and on-going co-curricular workshops, and assisting with the development of a new master’s program. Prior to her experience with USC Rossier, Dr. Banuelos has served in advising related roles with the Educational Talent Search (ETS) Programs (TRiO funded) at both USC and UC Berkeley. Here, she advised over 600 middle and high school students per year in empowering first-generation and low-income students to pursue a higher education. Dr. Banuelos also worked at California State University, Los Angeles’ Center for Environmental Analysis – Centers of Research Excellence in Science and Technology (CEA-CREST) Program, funded by the National Science Foundation (NSF) Program. At USC, she advised over 30 undergraduate and graduate student fellows during their environmental science internships and matched students with summer research opportunities across the U.S. Additionally, she has experience working with transitioning new freshmen and transfer students to college with the UC Berkeley Summer Bridge and Orientation Programs. Dr. Banuelos began her interest in the field of student services when she served as a Resident Assistant in her sophomore year at UC Berkeley. She earned her BA in Mass Communications from the University of California, Berkeley, a ME in Postsecondary Administration and Student Affairs, and an EdD in Educational Leadership with an emphasis in Higher Education Administration from the USC Rossier School of Education.